Clock locations allow you to track exactly where employees are clocking in from, which could be a specific computer, phone number, IP address, or geolocation. 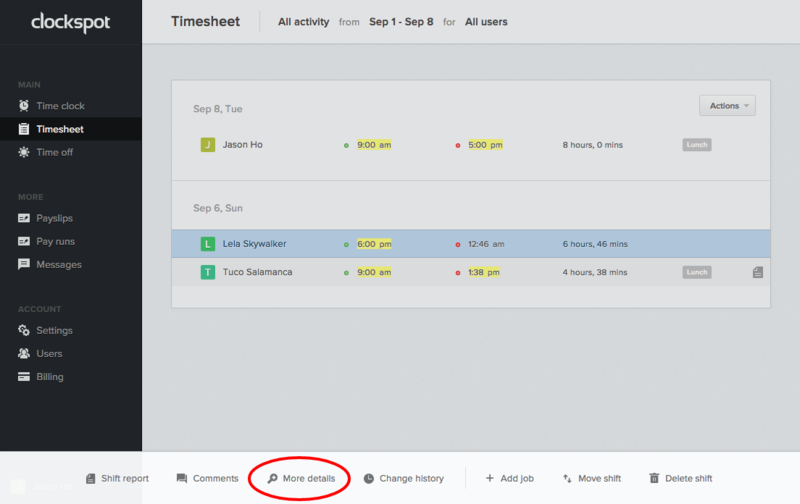 You can then check that information by going to your Timesheet, clicking on a clock time, then choosing “More details” from the bottom menu. If your employees all clock in from the same office, we recommend adding your office’s IP address as a clock location. 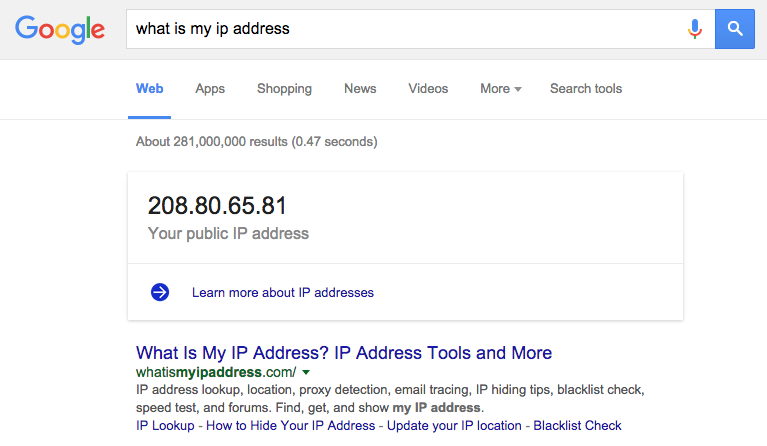 When you go to add a clock location, you will see the option to “Use current IP address”. Note that if you ever unplug or restart your router, you may get a new IP address, in which case you’d have to re-add the new IP as a clock location. If you are trying to add an employee’s computer that you don’t necessarily have access to, you can manually add it’s computer ID by unchecking “Use this computer” when adding a clock location. To check their computer ID, just have them clock into a shift, then go to the Timesheet, click on their clock time, then choose “More details” from the bottom menu. Note that if you clear your browser history / cookies, you will lose track of that computer. If that happens, make sure to re-add the computer as a valid clock location. If your employees clock in by calling our toll-free number, you can add the phone numbers they will be calling from. Make sure to only include numbers, so for example if the number is 444-333-2222, just add “4443332222”. is this feature available for standard accounts? i don’t see the More Details option at the bottom. Why is that? Usually if you don’t see an option it’s because you don’t have the right permissions set up for your user account.